Celebration Bermuda grass is one of the best types of grass for the Florida climates. This grass is extremely versatile and easy to care for. It does well in sun or shade, and is resistant to disease and weeds. To best understand how to care for this important and acceptable grass, it is important to understand the best conditions for its growth and maintenance. Celebration Bermuda grass can be beautiful either in the shade or in the sun. If you have a particularly shady lawn with lots of trees, or if your commercial building casts a lot of shade on your lawn, you can make good use of this type of sod. It thrives in the sunshine, but is resistant to the damage that is sometimes caused to sod by shade. You do not have to worry about getting enough sun on this sod. This type of sod is extremely resistant to drought. You do not need to worry about watering your Celebration Bermuda grass. The amount of rain that is typical for Florida is typically sufficient to maintain a beautiful lawn with this type of grass. 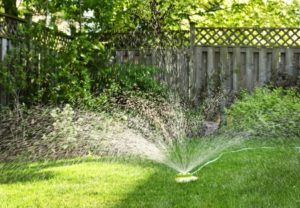 If there is a particularly dry season in the summer months, you may want to water it on occasion. However, it has a fast recovery after drought periods, so this is largely unnecessary. Celebration Bermuda grass is great for high traffic areas. This type of grass withstands abuse very well, and it has a fast recovery after being trampled. You do not have to worry about people walking or biking across the grass when you use this type of sod. No special maintenance is required to recover the grass from high traffic. The ideal height for Celebration Bermuda grass is one to two inches. This does require frequent mowing in typical Florida months, as the sunshine and precipitation that is natural to the area causes frequent and fast growth. However, mowing about twice per month should be sufficient to keep your lawn looking great. If you are interested in using Celebration Bermuda grass for your home or commercial lawn, contact us today for more information. We provide cultivated Celebration Bermuda grass sod and other types of sod perfect for your outdoor spaces.